The Junior European Open, celebrating its 25th anniversary in 2017 is widely believed to be the toughest test in junior golf in Europe. The Champions Week Finals in Andalucia, Spain are staged over five rounds including Finca Cortesin, 3-times venue for the Volvo World Matchplay. This is an individual strokeplay event played off scratch open to boys and girls. There is no handicap limit. 1- All UK golf clubs are invited to nominate up to six juniors (boys and/or girls) to go forward into the Regional Finals. 2- Entries are also acceptable from individuals to play in the Regional Finals if clubs do not have an active junior section. 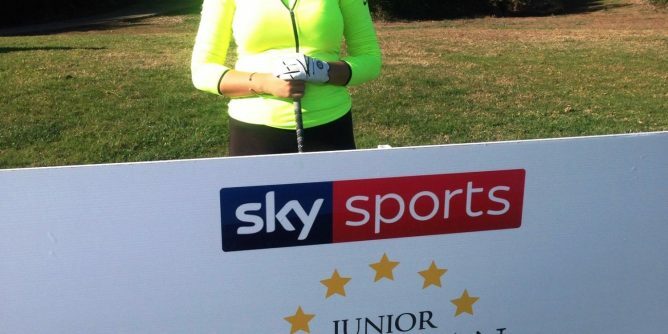 UK Regional Finals will be played over 18-holes, strokeplay off scratch. All qualifiers (the top two boys and the top girl) from these Regional Finals go straight to the Champions Week Finals in Spain in November. Therefore, one round of golf is all that is required to qualify for the Champions Week Finals in Spain. There is no other junior event in Europe that offers such a chance just after one qualifier. Those juniors who just miss out on qualification at their first attempt, will be able to enter again (up to three times); subject to availability. The top two boys and one girl from all Regional Finals win the trip to the week-long Champions Week Finals in Spain in November. As part of their prize, they will receive the following: all green fees (minimum of four rounds plus a fifth for those who make the cut), 7-nights first-class accommodation, daily transfers to the golf clubs, specially commissioned individually personalised trophies to all the finalists and prize-presentation dinner with drinks. There are also prizes on each day for the best NET scores. The Closing Date for entries is 20th October- up to this date entries are guaranteed to be accepted. After this date, they will be accepted subject to availability.